Hollywood Beach Trikke has been family owned and operated since 2009. Now with two locations to better serve you. We are Family, Fun, and Fitness enthusiasts with an affinity for Sand, Sun, & Surf. We invite you to browse through our Online Store as everything we rent we also sell. If you haven't taken one of our Pon-E tours then you are simply missing out. We here at HBT offer the thrill of trying the unique never seen before products that turn heads and leave people asking the question "Hey where can I ride that?!" If you fancy yourself a thrill junkie or avid adventurist then you've come to the right spot. 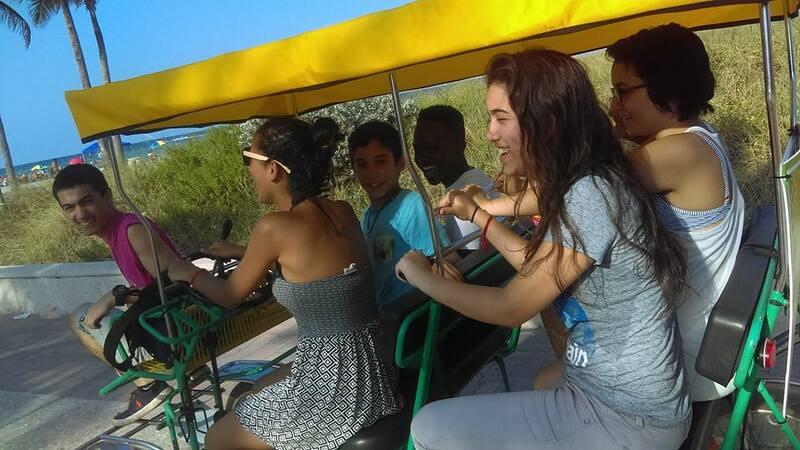 We are Hollywood Beach Trikke your guide to adventure. Book now and Reserve your spot today! Conveniently located on the Hollywood Beach Broadwalk, which offers 2.5 miles of beautiful beach, providing riders relaxation with an ocean view, Hollywood Beach Trikke opened up back in fall of 2009 when then fitness enthusiast Dan Sedino suffered a work-related back injury. Looking to get back into his passion of sport, fun, and fitness Dan utilized his knowledge and experience to combine something he loved into something that could provide for his family. With his son at his side, the duo set off to create a Disney land experience in their own backyard of South Florida creating an opportunity that would sustain generations to come. Book your excursion for this evening today, as we are offering 3 hours for $15 on all bikes, skates, manual trikkes, mobo's, and banana bikes. All safety gear is complimantary that includes helmets, wrist guards, elbow pads, and knee pads.